If you need a roomy, comfortable sedan with the best possible ability to navigate through winter's worst, the new Legacy is well worth a look. Wide front seats, incredibly useful lumbar support and a cavernous trunk mark the big changes for 2010, as does a long list of standard creature comforts. Safe Subaru legacy is a favorite. My Subaru legacy is safe and reliable, especially with having a small child to drive around. It drives very smoothly and effortlessly. I have no had any issues with my car or parts. It is extremely comfortable to drive and has plenty of room for my family. There is plenty of room in the trunk for storage. I also am a fan of the parking brake button because it will not let you drive or turn the break off until your seat belt is on. Overall, I am very happy with my vehicle. high maintenance for a subaru! I love my car, however, I have had some problems. The car specifically takes a certain kind of coolant and you cannot put just any kind in. I learned this the hard way and had to have the head gasket repaired among other related repairs. Headlights tend to go out relatively quickly as well. But the car can go literally anywhere! Love the heated front seats too. Great car just wished it lasted me longer than what it has. 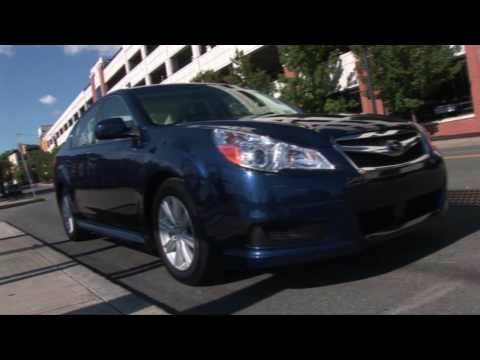 Subaru legacy: a model in what you need for reliability. I really love my car. It is a very smooth ride and I love Subaru's in general due to them being built with the 4WD. I love the features especially the stock sound system. It's very roomy without being too big that I feel it's more than just a sedan but is the perfect size for taking lots of people around. It's been very reliable so far and hasn't given me any problems at all.